Diamond will always be a woman’s best friend but the gemstone is no longer the world’s hardest material, according to scientists. Instead, a rare natural substance, called lonsdaleite, which is made from carbon atoms just like diamond, has emerged as 58 per cent harder than the gemstone, according to a report in the New Scientist. An international team, led by Zicheng Pan at Shanghai Jiao Tong University, simulated how atoms in two substances believed to have promise as very hard materials would respond to the stress of a finely tipped probe pushing down on them. The simulation revealed that the first one, wurtzite boron nitride, withstood 18 per cent more stress than diamond, while the second, the mineral lonsdaleite, 58 per cent more. Rare mineral lonsdaleite is sometimes formed when meteorites containing graphite hit Earth, while wurtzite boron nitride is formed during volcanic eruptions that produce very high temperatures and pressures. 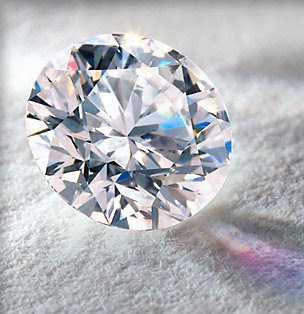 If confirmed, however, wurtzite boron nitride may turn out most useful of the two, because it is stable in oxygen at higher temperatures than diamond. And, according to the scientists, this makes it ideal to place on the tips of cutting and drilling tools operating at high temperatures, or as corrosion resistant films on the surface of a space vehicle, for example. Paradoxically, wurtzite boron nitrides hardness appears to come from the flexibility of the bonds between the atoms that make it up. When its stressed some bonds tend to re-orientate themselves by about 90 to relieve the tension. Although diamond undergoes a similar process, something about the structure of wurtzite boron nitride makes it nearly 80 per cent stronger after the process takes place, the studys co-author Changfeng Chen of University of Nevada wrote in the Physical Review Letters journal.